Every story needs a star. From famous footballers to pet hamsters to superheroes, unforgettable characters make stories come to life. These four fun activities will help any aspiring author dream up some page-turning protagonists. Make sure you remind your child to submit their finished story to this year’s BBC 500 Words short story competition! Please note: The closing day for BBC 500 Words 2019 is Friday 8th March. Find out more on our BBC 500 Words page. Writers can use adjectives to create an instant picture in a reader’s mind. With your child, make a list of weird and wonderful adjectives such as ‘flashy’, ‘wheedling’ and ‘chinless’. Pick three to describe your story’s hero (they don’t all have to be positive!). See if your child can write a descriptive paragraph about their character using those three words. Then, why not do the same thing with the villain of the story? Does your character speak or make any sounds? What interests or pet hates does your character have? Does your character have a hobby? What do they do? 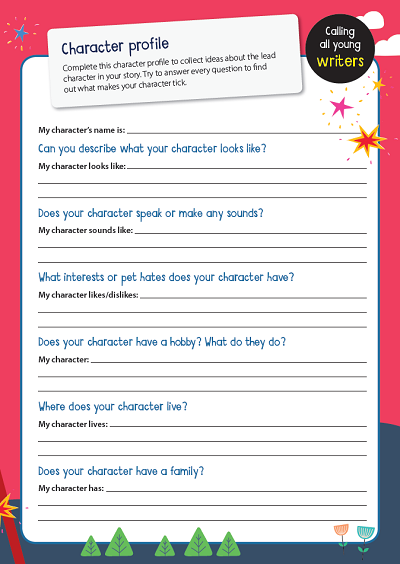 Download the BBC 500 Words activity sheet and encourage your child to collect and write down ideas about the lead character in their story. See if they can to answer every question, to really find out what makes their character tick! When you come up with story characters, keep thinking about them while you go about your daily life… What would they say in this situation? What would they eat for lunch? What would they do to have fun? You get to know them much better and it makes them more believable. Unforgettable characters need a memorable name. Think about famous character names from fiction (like Lord Voldemort, Zaphod Beeblebrox, or Ebenezer Scrooge) and ask your child to guess what type of story they are from. For example, would you expect to find a character called Eowyn Broadsword in a love story or a fantasy tale? Is this the kind of name you would give to a heroine or villain? Mindmap some ideas for character names that fit your child’s story. Try to make your characters real; try to make them come alive on the page; try to make them people we’d like to know more about. Let us know what makes them tick. Now that your child has a set of interesting and unique characters, all that remains is to create a story around them. What crazy adventures and wild exploits will they find themselves in? 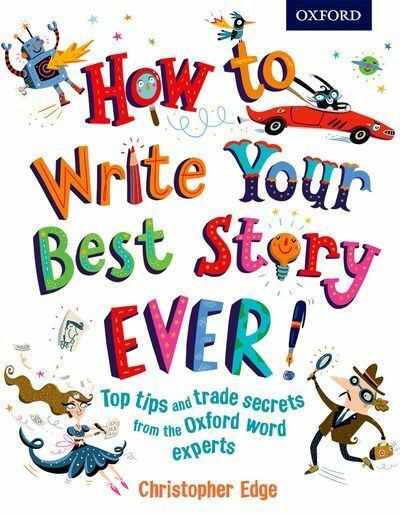 Tips and activities: On our How to Write Your Best Story Ever! page, children’s author Christopher Edge shares his top 10 tips to get your child writing, whilst free activity sheets will help them discover their inner author. Blog: Find more inspiration in this breakdown of the 2017 500 Words competition, including excerpts from last year’s stories. This book will help children learn to craft brilliant stories, create believable characters, write powerful endings and much more. 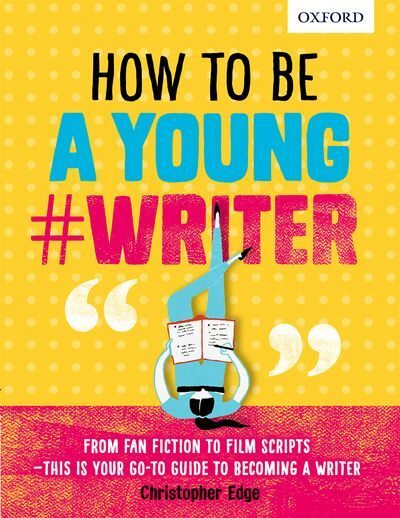 Packed with practical tips and insider advice from published authors, this guide opens up the secrets of how to write well and guides young writers all the way through from beating the fear of the blank page and learning to edit their work, to how to get other people reading their stories. A must-have notebook to unlock the imagination and inspire children to start writing. 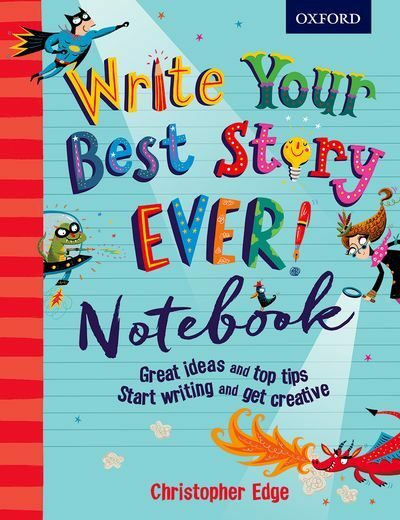 Full of great hints and tips, and activity pages for jotting down words, sketching characters, and writing in stories. A perfect companion to How To Write Your Best Story Ever! From aardvark to zozimus, a dictionary of real and invented words used by the world’s best storyteller. With real citations from Roald Dahl’s children’s books and illustrations by Quentin Blake, this dictionary is engaging, accessible, and will inspire and encourage young writers and readers.